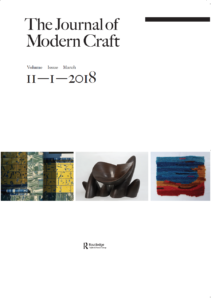 To accompany the recent publication of The Journal of Modern Craft 6.3 we have invited a number of critics to respond to the lead article of the issue: John Roberts’ “Temporality, Critique, and the Vessel Tradition: Bernard Leach and Marcel Duchamp,” which is freely available for a limited period (click here for the link). 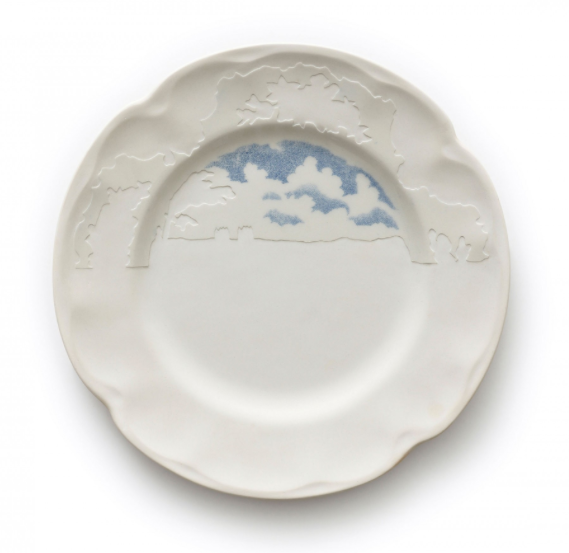 Our third response to the article is written by Johan Wingestad ceramic artist and freelance curator based in Stockholm. Since 2011 Johan has served as chairman of The Association of Swedish Craftsmen and Industrial Designers. Jorunn Veiteberg, art historian and professor at Bergen Academy of Arts and Design, has for several years observed the relationship between Duchamp and a new generation of Scandinavian craft artists such as Slotte and Rylander. She has used the term upcycling as a way of describing the use of the readymade within craft practice, referring to the appropriation of anything from trash, to products available in most departments’ stores, which have been altered and modified into exclusive craft objects. Roberts argues that Duchamp’s readymades could be seen as “a dialogue with, and a discourse on, the craft of conceptualization or conceptualization as craft“, and suggests that in order to expand our “craft-thinking” it might be necessary to “reject the presupposition that craft is attached to a particular range of objects and techniques identifiable with tradition.” Once again, in the works of Slotte and Rylander we observe something that resembles this approach, but even so, these artists also cultivate a strong connection to a particular range of objects and traditional craft techniques. It seems to me that their works are the result of a reflexive practice, one that deals with both the craft of conceptualization, and the objects and techniques identifiable with craft traditions. Their works reject and confirm aspects of tradition simultaneously, in a similar way to Duchamp’s Fountain, as interpreted by Roberts. It would have been interesting if Roberts had referred to other readymades of Duchamp in order to establish a broader perspective of the artist’s “craft-thinking”, not just from the basis of one single artwork, however famous. I am confused as to whether I should look at Fountain as an illustrative example of Duchamp’s craft-thinking or as a isolated example on how this idea might constitute itself. 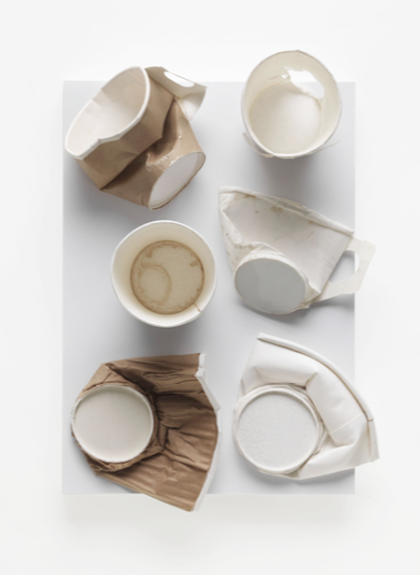 Our second response to the article is written by ceramic artist and writer Bonnie Kemske, who holds a PhD from the Royal College of Art, London, and is the former Editor of Ceramic Review. In his essay, John Roberts brings together two ostensibly antithetical art heroes: Marcel Duchamp and Bernard Leach. Both, of course, greatly impacted their respective art worlds through their output and the thinking that underpinned their works. Challenging our definition of art, Duchamp granted the artist the god-like ability to create through the Word, i.e. the artist declaring a readymade to be art. Leach, on the other hand, was part of a movement that deified the anonymous maker and established a ceramic canon that calcified development in UK studio ceramics, a legacy that persists, in some sectors to the present day. Roberts links the two by positioning Duchamp’s factory-produced Fountain within the vessel tradition. Technically, of course, a urinal is indeed a vessel; it is also ceramic. Although Roberts’ comment that Fountain “offers an explicit embodiment of the crisis of artisanal craft labor in an alienated form of postartisanal productive labor” is certainly apt and insightful, I think it is a stretch to think that the urinal “can be read as a continuation of the ancient vessel tradition”, as Joakim Borda-Pedreira states in his response to Roberts’ paper. Looking back to Bernard Leach, we see his artistic contribution as part of a long, deeply embedded vessel tradition, which has been characterized as sensual, fecund, mystical, profound, awe-inspiring, and more. At times you can still smell the incense this tradition has absorbed after decades of unreserved reverence and adulation. It is hard to place the urinal within this craft inheritance, although Roberts does give a good rendering of the vessel’s over-burdened history. In thinking about Duchamp’s choice of the urinal, Grayson Perry’s use of the ceramic vase comes to mind. Perry intended to undermine the art world’s hierarchy of materials, and using the vessel form also served as an inverted condescension of class and culture. Although there is a fitting comparison to Duchamp’s Fountain in this, underneath Perry’s bluster, one senses a deep respect for the material and forms with which he works, which is closer to a Leachian approach. Roberts tantalizes us with the idea that perhaps Duchamp shared this respect for making, in his case for factory manufacture, that he chose the urinal because as a vessel it “establishes an emancipatory continuity with the primitive communist past and the origins of humanity”. If we concede that “Duchamp places the vessel tradition in a state of critical abeyance”, it is easy to support Roberts’ supposition that we can “place Duchamp within an expanded understanding of craft-thinking”. If we have reservations about doing this, then we are left unsure that “Duchamp, in the end, is the more compelling figure as a thinker on craft”. Joakim Borda-Pedreira, “Modernisms, Vessles and the Birth of Conceptual Art”, Journal of Modern Craft Blog, http://journalofmoderncraft.com/forums (Accessed 9 January 2013). John Roberts, “Temporality, Critique, and the Vessel Tradition: Bernard Leach and Marcel Duchamp” Journal of Modern Craft 6:3 (November 2013), p. 257. John Roberts, “Temporality, Critique, and the Vessel Tradition: Bernard Leach and Marcel Duchamp” Journal of Modern Craft 6:3 (November 2013), p. 265. The first response is written by curator and art historian Joakim Borda-Pedreira, who among his roles is Acting Editor of Norwegian Crafts Magazine, and founder and director of The Boiler Room, a contemporary art space in central Oslo. The late Swedish art critic and museum director Ulf Linde would often repeat an anecdote from the 1960s, when he helped organize the first Marcel Duchamp exhibition in Stockholm. With the blessing of Duchamp, Linde scanned the city for an identical urinal as the famous Fountain ready–made. Eventually he found one in an old restaurant and Linde would laughingly recall the sight of the legendary art dealer and socialite Eva af Buren standing on her knees scrubbing the bowl frenetically to remove half a century of filth. This conflict between craft – here represented by the vessel tradition – and a modernist understanding of art and originality is according to Roberts overbridged, if not entirely overcome, by the artistic strategies of both Duchamp and art potter Bernard Leach, who stood for a sort of refined modernism which eschewed industrialisation and mass culture. Indeed, Leach opposed not only the mass-production, but the “bad forms, and banal, debased, pretentious decoration” which is ever-present in industrially produced ceramics. Roberts juxtaposes Leach’s “conservative modernism” with Duchamp’s “deflationary avant-gardism”, and sees the vessel become “a cipher for the unassimilable split in the very domain of art’s living temporality.” It is particularly rewarding to read his analysis on Leach’s timeless modernism, committed to renewal within continuity, but when it comes to Duchamp Roberts overlooks one of the most important aspects of the ready mades, and in particular of the Fountain – that they initiated an aesthetic revolution which liberated the art work from the art object. In fact Duchamp did the opposite of what Roberts claims, as he did not create art from everyday objects, but rather everyday objects from art. Duchamp was integral in shifting artistic value from the object to the artist – an operation which would culminate with conceptual art in the 1960s and which today dominates contemporary art and is finding its ways into craft art as well. This is also the reason why the Stockholm version of Fountain, which was manufactured and used as a real urinal, is no more or less genuine an art work than the many authorised versions which were produced in artist studios as limited edition art works for museums in America and continental Europe. Roberts, in The Journal of Modern Craft 6:3 (November 2013), p. 260. Bernard Leach, A Potters Book in Glenn Adamson (ed.) The Crafts Reader (2012), p. 178. Roberts, in The Journal of Modern Craft 6:3 (November 2013), p. 263.